Does your EA feel undervalued? 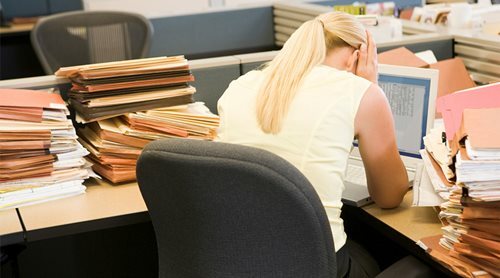 Since EAs and PAs play such a crucial role, how can HR work to prevent burnout and dissatisfaction amongst these employees? “According to a survey we conducted in the EA and PA space, 72% of professionals felt they were insufficiently rewarded based on a salary, remuneration and recognition perspective,” said Kirsty Luce, director of Page Personnel Singapore. This figure came from an annual survey of more than 500 executive assistants (EAs), personal assistants (PAs) and secretaries in Singapore, she added. Since both EAs and PAs often work behind the scenes, they are the “silent powerhouses” of the business – performing vital functions in an often invisible role, Luce said. Unfortunately, an underperforming or undervalued EA or PA can have really detrimental effects within an organisation, she said. There are a number of ways in which HR can shine a spotlight on these functions and help them perform at their very best, Luce added. In general EAs are privy to confidential information and yield a subtle influence at the higher levels of a company, she said. They are also required to understand what goes on at a personal level with the director or directors they are looking after. To help EAs become more efficient and avoid the possibility of burn out, Luce said that clear communication was essential. If this isn’t the case, HR needs to help executives put together these goals and communicate them to their EAs or PAs, she added. Regular appraisals and reviews can also help establish self-awareness for both the executive and EA about what’s going on. Offering a forum for regular communication instead of a once-a-year annual review will prevent the EA dissatisfaction and offer assistance to both parties. Finally, offering some acknowledgement of the EA’s hard work is also important, Luce said. Showing some self-awareness that these things are going on and making sure to balance it out is always recommended, she said.